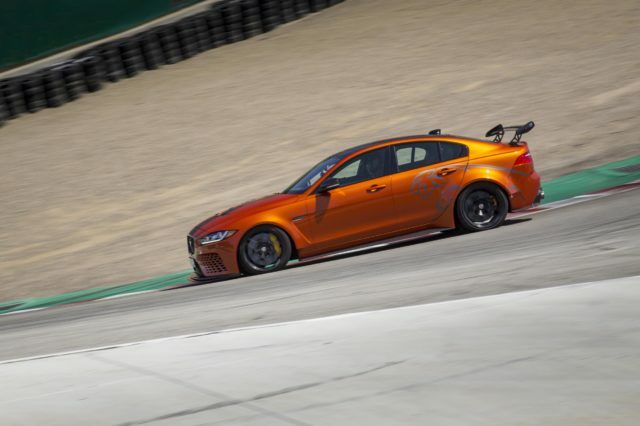 Jaguar’s XE SV Project 8 has taken yet another lap record, this time at the famous Laguna Seca Raceway. The super-saloon set a lap of 1:37.6 with pro racing driver Randy Pobst behind the wheel to become the fastest in its class around the 2.2-mile Californian race track. It beat the previous record, set back in 2015 by a Cadillac CTS-V, by over a second. It’s not the first lap record held by the 592bhp machine despite it being yet to go on sale. Last year, it took the record for saloon cars at the Nürburgring with a time of 7:21.2. Just 300 examples of the Jaguar XE SV Project 8 are slated for production and all will be hand-built in Coventry, with prices set to start from £149,995 in the UK. Michael van der Sande, managing director of Jaguar Land Rover Special Operations, said: “This Laguna Seca lap record is another powerful demonstration of the Jaguar XE SV Project 8’s performance credentials. 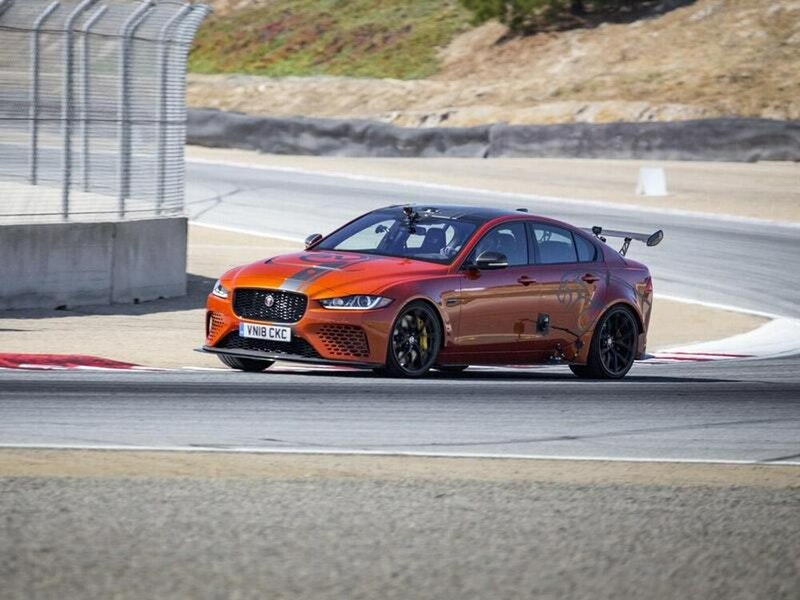 Pobst also set another lap record with a Jaguar at Laguna Seca last month with the Jaguar I-Pace. The electric SUV completed the circuit in 1:48.2, becoming the fastest EV around the track in the process.